David Pettigrew is a Professor of Philosophy at Southern Connecticut State University (SCSU) where he has taught since 1987. He is a member of the Steering Committee of the Yale University Genocide Studies Program LINK. He also serves as an International Expert Team Council Member of the Institute for the Research of Genocide Canada LINK. On October 7, 2012, Professor Pettigrew served as a credentialed International Observer for the municipal elections in Srebrenica, Bosnia and Herzegovina. Professor Pettigrew created a documentary film with his son Jonah, titled "The Geography of Genocide in Bosnia: Redeeming the Earth," (US, 2011, 50 min.). 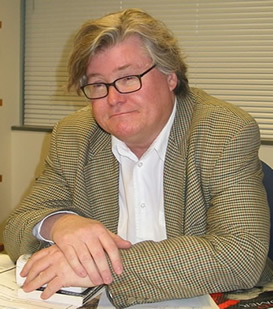 He has presented and discussed the film at a number of university and conferences, including the Program in Holocaust, Genocide and Human Rights Studies at the Benjamin Cardozo School of Law, Yeshiva University; Trinity College, Hartford, CT; the Philosophy Department and Peace Studies Program, Loyola University Maryland (Baltimore); the Philosophy Department, University of North Texas; the Cultural Studies PhD Program, Trent University, Canada; and at the Summer University Srebrenica, Potočari Memorial Center, Bosnia. Professor Pettigrew has been interviewed about his research in Bosnia by Federal Television in Bosnia as well as by Aljazeera Balkans. His research was also subject of an interview the Bosnian-American publication Sabah. Professor Pettigrew teaches a range of courses including PHI 408 "Phenomenology and Existentialism," PHI 307 "19th Century Philosophy," PHI 296 "Ancient Philosophy," PHI 200 "Problems in Philosphy," PHI 100 "Introduction to Philosophy," and PHI 120 "Ethics". A number of his classes interrogate the extent to which the ethical thought of Aristotle, Kant, Levinas and others, can respond to, interrupt, and perhaps prevent the causes of genocide. Professor Pettigrew's essay "The Task of Justice," bearing on witness literature and the genocide in Bosnia, was published recently in Jean-Luc Nancy and Plural Thinking: Expositions of World, Ontology, Politics, and Sense, eds., Peter Gratton and Marie-Eve Morin (Albany: The State University of New York Press, 2012). An earlier version of the essay appear in Fall 2008 in Pathways to Reconciliation: Between Theory and Practice, eds., Philipa Rothfield, Cleo Fleming and Paul A. Komesaroff. (London: Ashgate Publishing 2008). Over the course of his research in Bosnia, Professor Pettigrew has developed a number of power point presentations to accompany his lectures and for his classes. The most recent power point presentation addresses the work of the Internatioal Commission in Missing Persons (ICMP), and specifically the facilities in Tuzla where the victims of the Srebrenica genocide, having been exhumed from mass graves, are identified. In addition to his work on ethics and genocide studies Professor Pettigrew has co-edited and co-translated ten books concerning the work of Martin Heidegger or of Jacques Lacan. He has co-authored introductions for each of the books. In 2011, his co-translation of J-D Nasio's Oedipus: The Most Crucial Concept in Psychoanalysis (Albany: SUNY Press, 2010), was selected as a CHOICE "Outstanding Academic Title of 2011." He is co-director of a new book series at SUNY Press devoted to "Contemporary French Thought". His co-translation (with François Raffoul) of Jean-Luc Nancy's The Creation of the World or Globalization (Albany: SUNY Press, 2007), was the first book to appear in the book series. 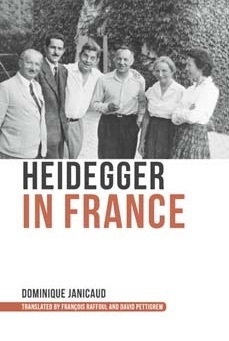 In September 2008, a book he has co-edited (with François Raffoul), French Interpretations of Heidegger: An Exceptional Reception (Albany: SUNY Press, 2008) has also appeared in the book series. An essay addressing the work of Parisian psychoanalyst J.-D. Nasio entitled "The Unconscious Body in the Psychoanalytic Theory of J.-D. Nasio," has appeared in an edited volume entitled Rethinking Facticity François Raffoul and Eric Nelson, eds. (Albany: SUNY, 2008). The French language version of the essay can be found at mondesfrancophones.com . In addition, he has authored essays addressing the work of such thinkers as Jacques Derrida, Maurice Merleau-Ponty, and Jacques Lacan. In 2000 Professor Pettigrew received the Southern Connecticut State University Faculty Scholar Award for his co-translation of J.-D. Nasio's Five Lessons on the Psychoanalytic Theory of Jacques Lacan (Albany: SUNY Press, 1998).